This end table in a distressed walnut finish features an elegantly crafted tray-style top and picture frame detailing around the sides. The Sinclair end table is a fine addition to a formal living room or well-tailored den. A storage drawer adds function to style. Below, the bottom shelf makes a nice display space for magazines, books, or collectibles. The Sinclair end table is designed to be durable and sturdy as well as handsome. 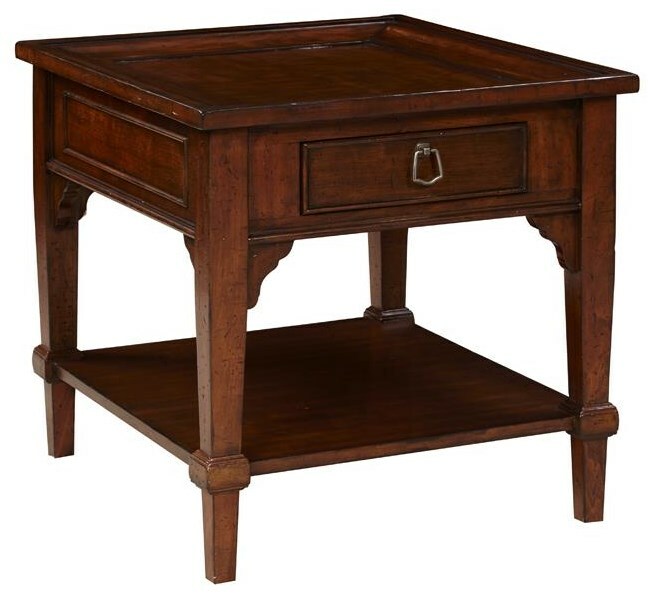 The Sinclair End Table by Home Insights at Great American Home Store in the Memphis, TN, Southaven, MS area. Product availability may vary. Contact us for the most current availability on this product.